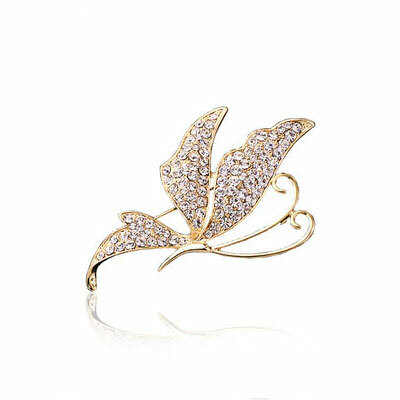 The Gold and Silver Rhinestone Crystal Butterfly Brooches Pins for Dresses looks abstractly like a dancing butterfly, really eye-catching and stunning. 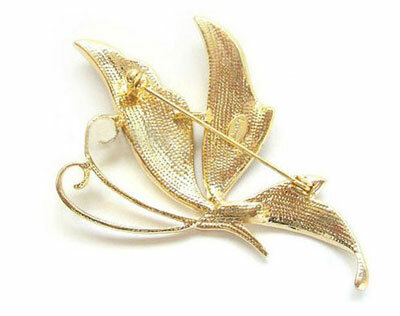 It will add dynamic and charms to your dress,clothes, shawls and scarves. 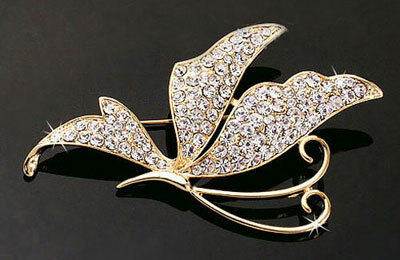 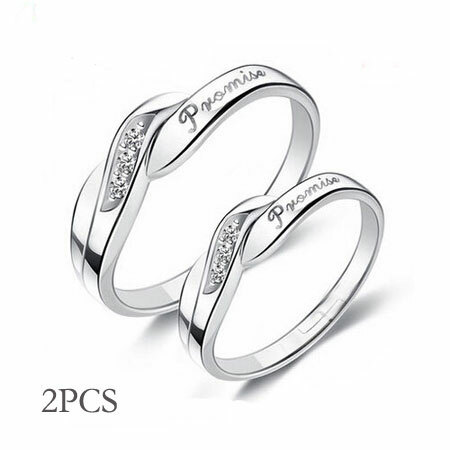 It is made of high quality alloy and plated in gold and silver. 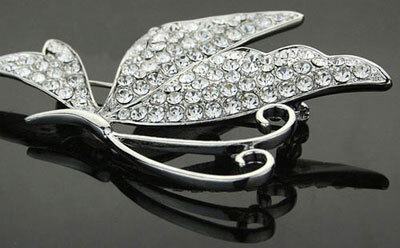 The wings are fully embedded with sparkling Crystal Rhinestones, shining and flying. 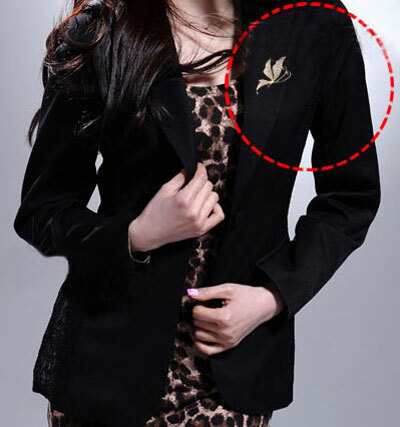 Fastening pin can also used to attach dresses and shawls. 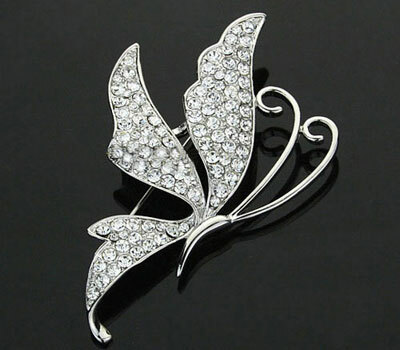 This Crystal Butterfly Brooch receive very good feedback from customers due to it's good quality, chic design and cheap price. 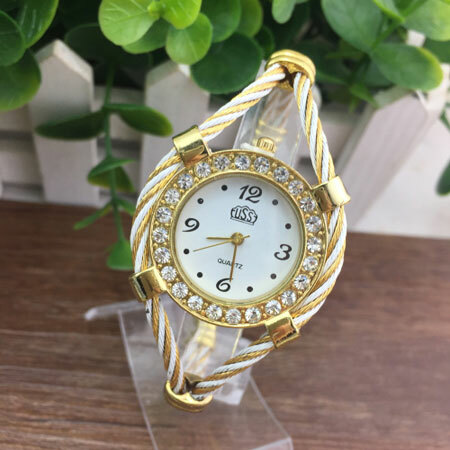 Nice small gifts for your girlfriend, wife or mom.